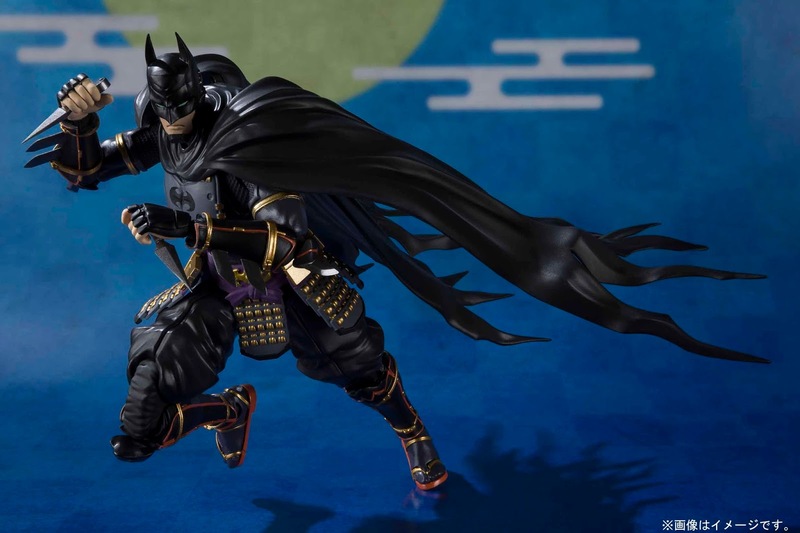 Later this year, Warner Bros will be releasing an exciting looking DC Comics anime directed by Junpei Mizusaki, Batman Ninja! It’s been described as a “Japanese animated period martial arts superhero film,” whatever the heck that means. But what’s really cool about this film is its character designs are by Takashi Okazaki, the creator of Afro Samurai! To commemorate the release of the movie, Bandai Tamashii Nations is producing a line of Batman Ninja SH Figuarts action figures. 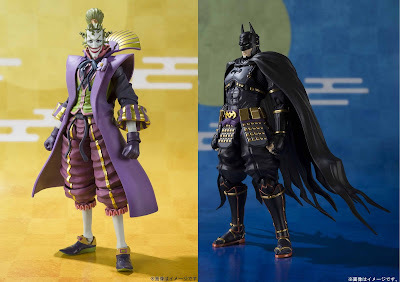 Check out these insane Ninja Batman and The Joker Demon King Of The Sixth Heaven SH Figuarts 6.5” action figures! Each super detailed and articulated figure includes tons of character specific accessories, alternative heads and interchangeable hands. 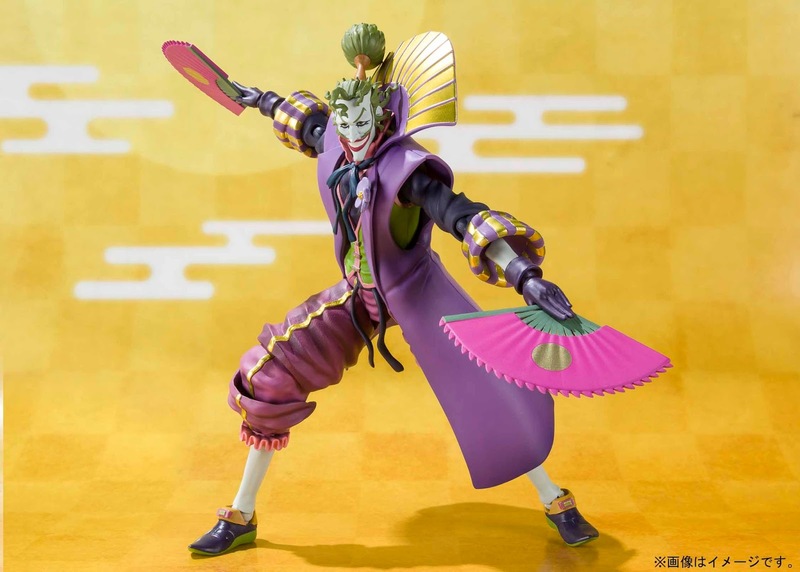 Ninja Batman features a removable, posable cape to enhance his dramatic silhouette, while The Joker comes with some of the most unique accessories The Blot has ever seen, two fans! 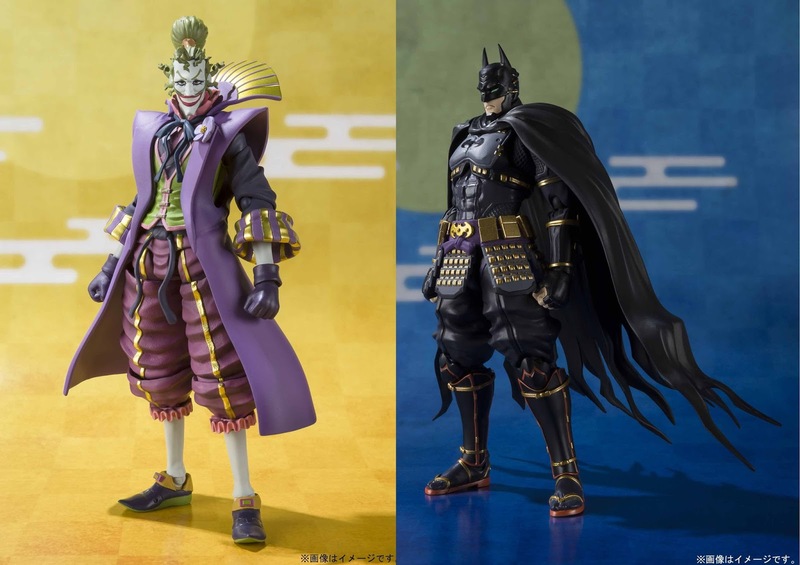 Collectors can pre-order both Batman Ninja SH Figuarts Action Figures now at Entertainment Earth for $59.99 (plus free shipping) each here.